Cheetah Conservation Fund is the world’s leading organization dedicated to saving the cheetah in the wild. 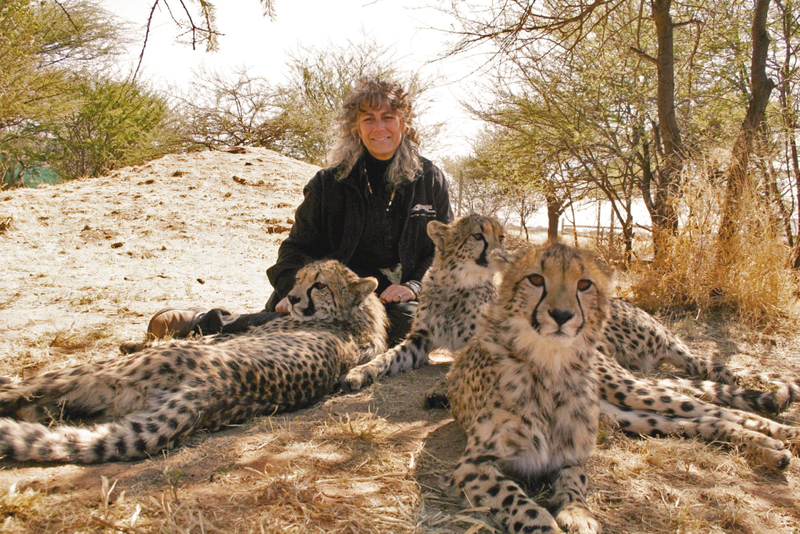 Founded by Dr. Laurie Marker in 1990, CCF has created a set of integrated programs aimed at addressing the principle threats to the cheetah. CCF’s conservation programming is rooted in scientific research. CCF maintains a research program on the biology, ecology and genetics of cheetahs that publishes papers in peer-reviewed journals annually, and currently operates the only fully-equipped genetics lab at an in-situ conservation facility in Africa. Donate: Your contribution to Cheetah Conservation Fund will support our programming, which is based on scientific research and has been working to stabilize cheetah populations in Namibia. With your help, we can take the success we’ve achieved in Namibia, and share it around the world. Volunteer: Some areas have local chapters that plan events for CCF and some areas have active volunteers that organize small scale individual projects. Both provide valuable support to CCF’s fundraising activities. Visit CCF: In addition to being a world-class research and conservation facility, CCF is open to the public every day of the year except Christmas Day. Visitors to CCF can enjoy a variety of activities and experiences. Humans for Cheetahs: Humans for Cheetahs is the grassroots initiative where you can participate in great activities and support Cheetah Conservation Fund at the same time. Share with friends: Tell A Friend About CCF! Maybe you can’t make a donation, or come for a visit, but everyone can share our story!